What Are The Best Swimming Pool Sizes & Shapes? Before financing, look into the installation and cost of swimming pools to make a good decision. When considering a swimming pool size and design, there are many from which to choose. 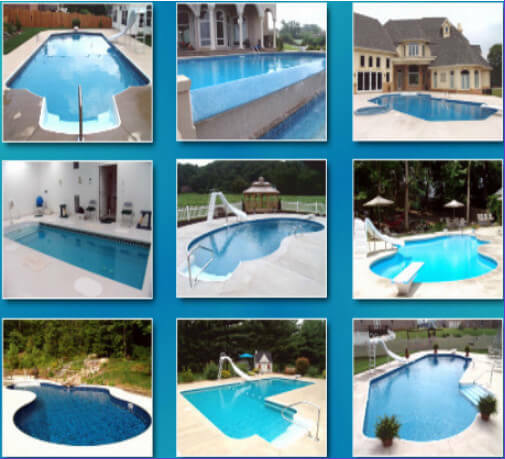 You can narrow down your pool ideas for your next home or commercial swimming pool by taking into account the desired shape and size of your pool in relationship to the space available, and also the usage the pool will get. Financing a swimming pool is really no different than any other major purchase, such as a car or home. Some pool companies, dealers, and lenders may even look upon the addition of a swimming pool as a "home improvement" and may be willing to work with you. Be sure to include monthly maintenance, water, and electricity, in addition to your payment when deciding on the right pool for your budget. Pools used just for recreational purposes should have a large shallow end and pretty much any shape you get will work. Are you a new pool owner? 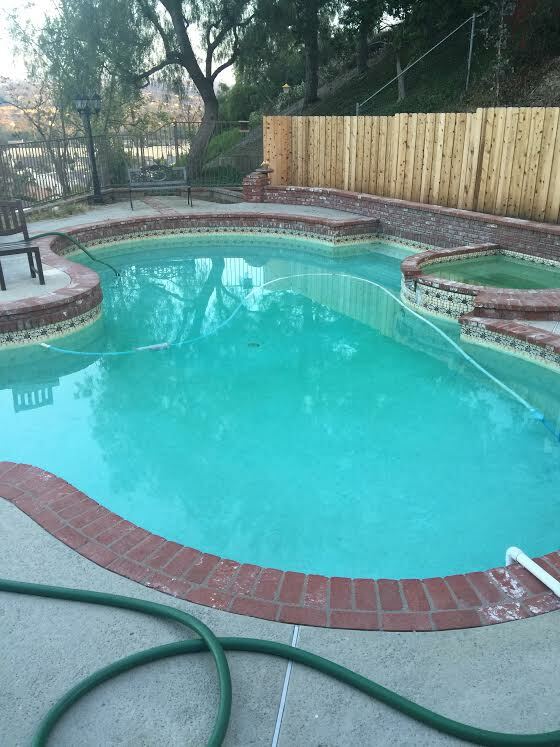 Wondering how to take care of you pool? Learn the proper way to maintain perfect pool chemistry and crystal clear water. My 12 Part F.T.A. Video Series cuts through the confusion with this easy to understand guide to pool water maintenance. Available for computer and mobile devices. 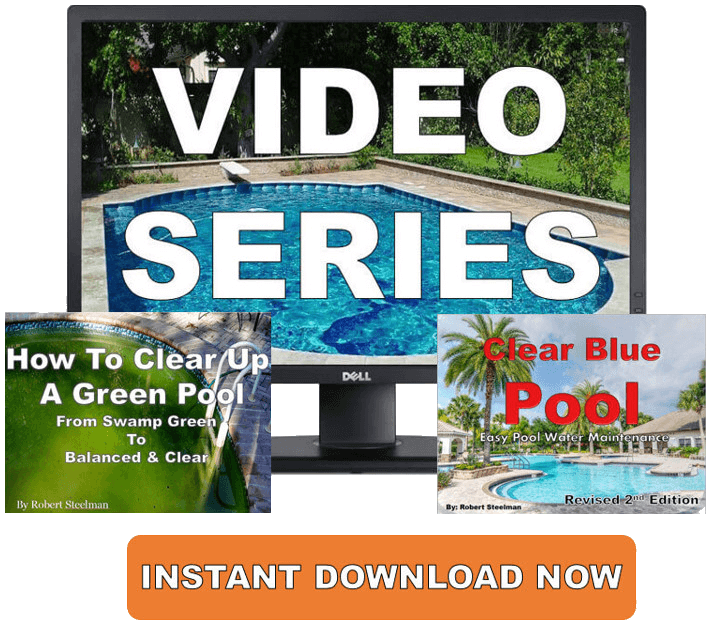 Also included are 2 eBooks "Clear Blue Pool" & "How To Clear Up A Green Pool". Click the "Instant Download Now" button to get started or go HERE for more details!! Families and recreational pool users really don’t need a very deep pool. You may want to consider a sloped floor that goes from 36" in the shallow end to anywhere from 4’-10’, depending on if you’re planning on doing any diving. Obviously you’ll want a deep end that can handle this. Also, this kind of pool doesn't need to be any particular size, so just pick one of the many sizes that’s right for you, your backyard, and budget. Competitive swimmers will need a pool size with a length of 25 meters. This will help with style development and give them a good indication of normal competitive swimming. Incorporating "L" shaped swimming pool sizes provide a shallow end, or the recreational part, of the pool in addition to lap lanes. I wouldn't recommend having a diving board or slide with this kind of pool simply because of the depth restrictions and safety reasons. A big concern is how often do you plan on entertaining and what will the normal guest count be? The larger the parties the larger the pool will need to be. Also, will your family change size in the coming years? Are you planning for more children? If so, then you might want to consider a larger pool. You'll also want to figure out your overall size restraints before you starting digging. Once the pool and patio are in the yard, there's simply no going back. Make sure you have enough room for other things you'd like to do or have in your backyard such as a play area for the kids or a trampoline. Are you considering building a pool? Do you have questions before you spend $25,000 or more? 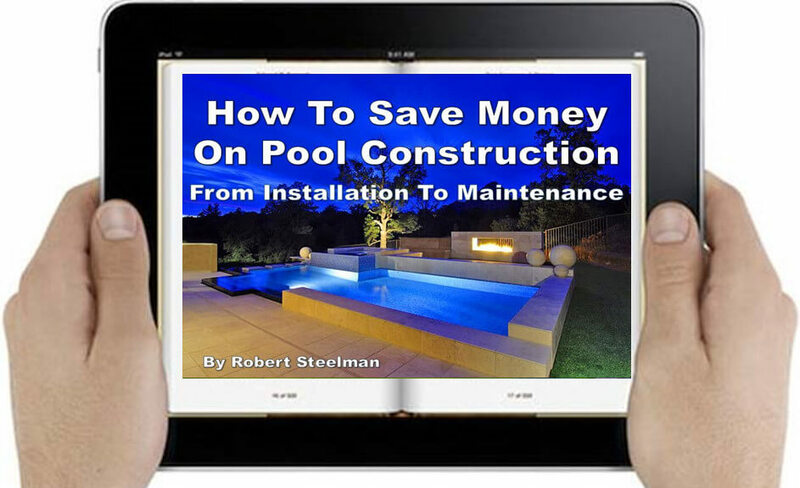 How To Save Money On Pool Construction eBook is perfect for you. It answers the most common questions that prospective pool owners have and offers clear and concise information. You can learn from my 20 years of experience so you don't end up making a HUGE financial mistake. Available for computer and mobile devices. Click the picture or HERE to get started today!! 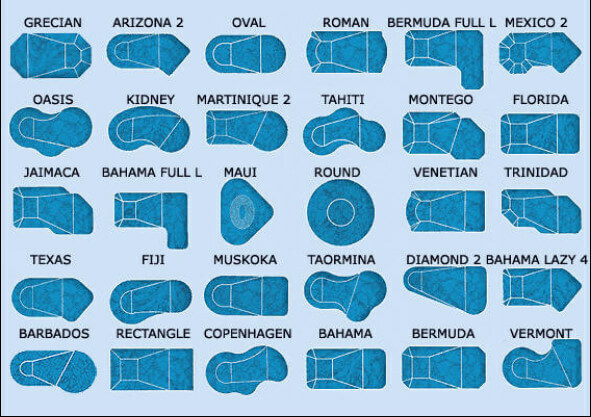 Below are some pool size options out there in pool land. Squares, rectangles, circles, and ovals are all capable of nicely accenting your yard. Bends and dips in one side of the pool or the other compliment your landscaping and natural features like rocks, boulders, trees, shrubs, etc.. Remember the most important part of any pool, a swimming pool safety fence. If you have little ones in your house or neighborhood, you will want to consider how the shape of your pool might impact your efforts to keep it secure. Be sure to spend a great deal of time on your swimming pool plans and budget. Anything left out or not accounted for will cost you more during and after the construction process. 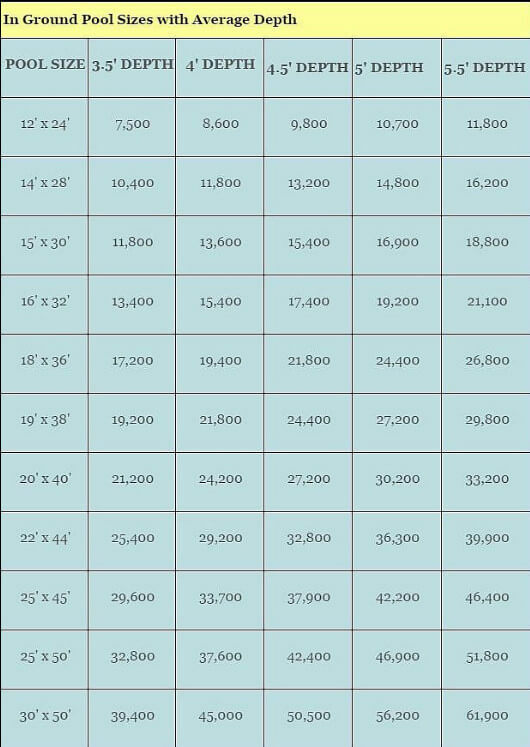 You basically have unlimited swimming pool sizes from which to choose. Whether Roman, kidney shaped, or anything else your imagination can come up with, make choosing it part of the fun of getting a pool.